- Choose Size - 2 in. x 15 ft. 3 in. x 15 ft. Purchased Most Frequently: 2 in. x 15 ft. (Black) | See Pricing Table below for additional options. 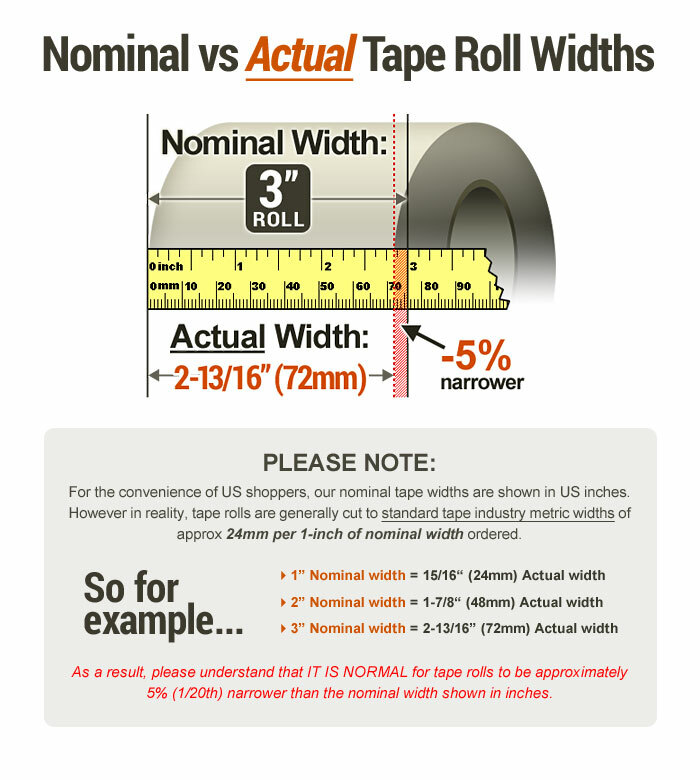 35 cents extra per roll. Typically chosen if for resale or export. View photo. 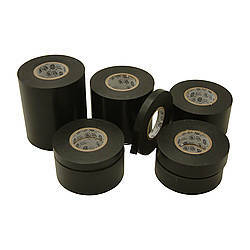 JVCC REPAIR-1 is a strong and reliable leather and vinyl repair tape that is most commonly used to repair school bus seats. 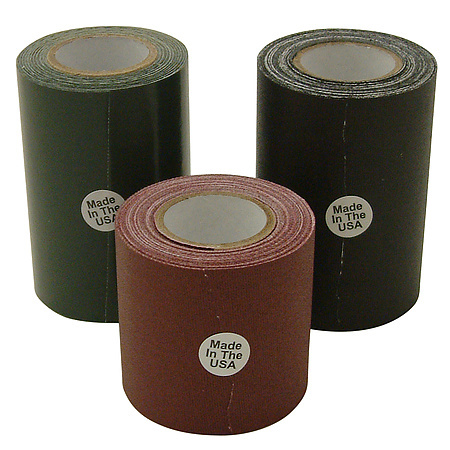 However, this high-quality tape has many uses, so if you're looking for a vinyl repair tape for motorcycle seat fabric, this repair tape is a great choice. It's constructed from vinyl-coated cloth, so you can easily tear it by hand without the need of a cutting tool, but you'll get the cleanest cut if you use a razor blade. 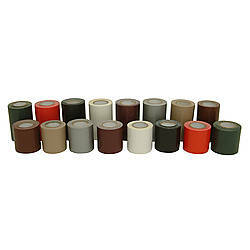 JVCC REPAIR-1 leather and vinyl repair tape (gaffers tape) is available in various colors. 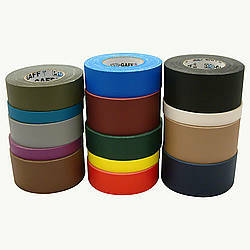 Colored vinyl repair tape is especially useful when you need to match a certain shade. All the colors have a matte finish. 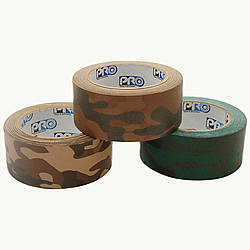 If you need a shinier tape, see JVCC REPAIR-2HD, which is made from polyethylene-coated cloth. Always use a razor to cut a piece off. 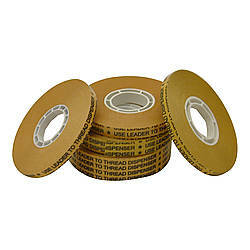 Tearing by hand leaves a rougher edge which allows the edges to be more vulnerable to rolling up. Even scissors have a hard time cutting through it as cleanly as a razor blade since it is heavy-duty vinyl coated cloth coated with an aggressive adhesive. A good way to prolong the amount of time it will stay down before its having to be replaced is to apply a small amount of wax on top of the edges, which helps reduce friction. 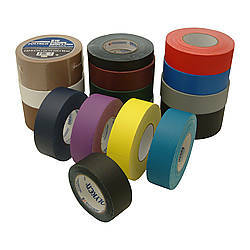 Remember: gaffers tape is designed to not leave sticky adhesive residue behind like a duct tape would; however, it may still pull up loose debris, finish, etc. from a substrate it is applied to depending on many conditions such as length of time applied, chemicals used to clean the substrate and the composition of the substrate itself (as any adhesive tape would). 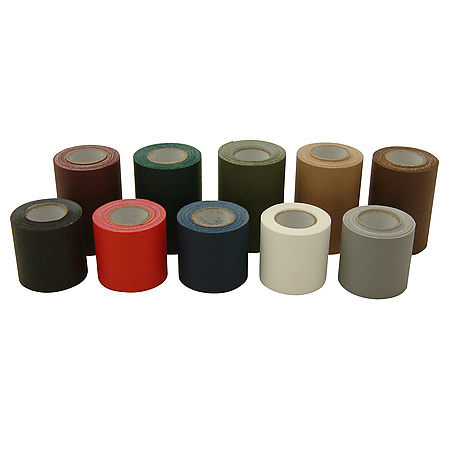 Many seating surfaces have accumulated oils, detergents, polishes, and miscellaneous other surfactants that will prevent pressure sensitive adhesive tapes from forming a bond. 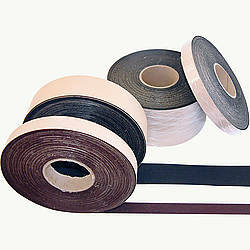 Please try testing the surface with any available adhesive tape (masking, duct, etc.) prior to purchasing this product to see if this could possibly work for you. 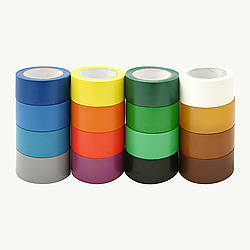 If that other tape does not adhere you can try cleaning the substrate first with a damp cloth and then allowing to dry completely. If it still does not stick, then you might need one of the liquid seat repair products available on the market instead (these products would also be less noticeable than a tape repair). Made in the U.S.
3 in. x 15 ft.
Actual Size: 72mm x 15 ft.